Join our Team and Streamline your business processes! 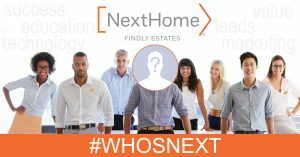 NextHome Findly Estates is a progressive real estate franchise with consumer focused branding, technology and marketing. We focus on collaborative partnerships and effective products for business development, growth and relevance. NextHome is the fastest growing franchise in the USA! Integrated Systems One hub to access a network of services, marketing, training & business tools! Every agent receives all the items listed below, ALL INCLUSIVE just for joining! Either fill out the contact us form below or call us directly for an appointment.